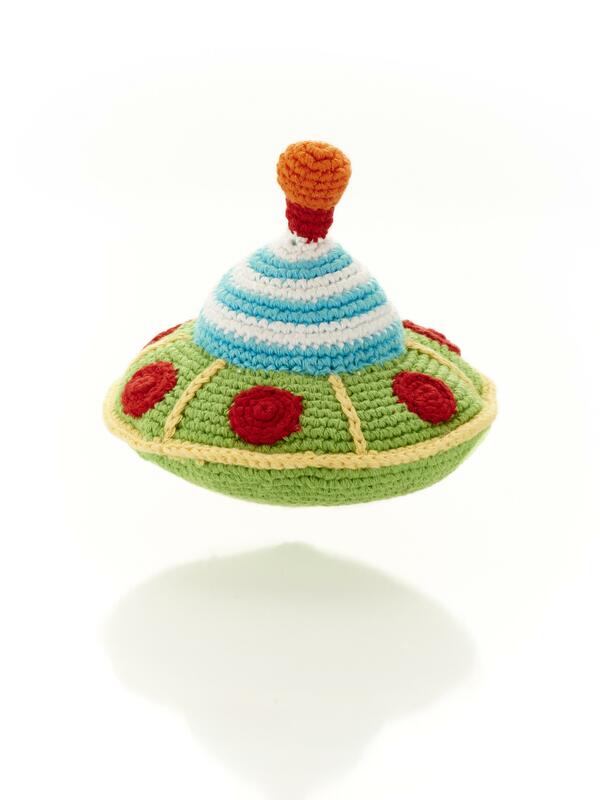 Crochet cotton fair trade flying saucer baby rattle in green with red spots and a blue and white stripe detail. Part of our popular range of space toys for babies. est Years are a soft toy manufacturer based in the UK. All of our crochet fair trade baby rattles are available to wholesale, retailers and museum customers.